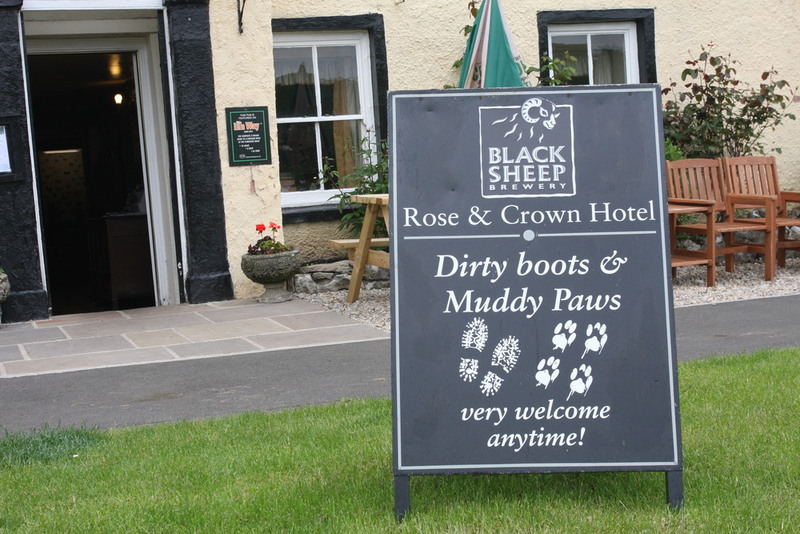 Welcome to The Rose & Crown Hotel, Bainbridge, Wensleydale. Bed & breakfast. Winter and Xmas Bargain breaks. New Year breaks. Special deals in Wensleydale. The hotel is one of Yorkshire's oldest hotels and it overlooks the village of Bainbridge, in the heart of beautiful Wensleydale. Hundreds of years ago Wensleydale was a dense forest and Bainbridge was a safe haven for the foresters that worked it. This memory continues with a forest horn, located in the reception hall, which was blown to guide the foresters safely home. The hotel now has three bars one of which has a large log fire, a beautiful restaurant which overlooks the village green and eleven en suite bedrooms with either baths or showers; three of the rooms have four poster beds. You may dine either in the restaurant or the lounge and snug bar; there is an inglenook fireplace with a blazing fire in the winter. People can eat lunch outside in the summer sunshine, sitting on one of the numerous seats and benches which surround the hotel. The views are delightful, in some directions panoramic.